Finish the year strong and get a head start on next year with a cleaned up email inbox! Are you tired of seeing an inbox FULL of emails that you don’t know what to do with? Are you constantly saying that you need to organize your inbox but keep pushing it off? We get it. We know how hard it is to stay organized when you’re receiving constant emails every day. So we’re here to help! Let us finally get your inbox organized and cleaned up. 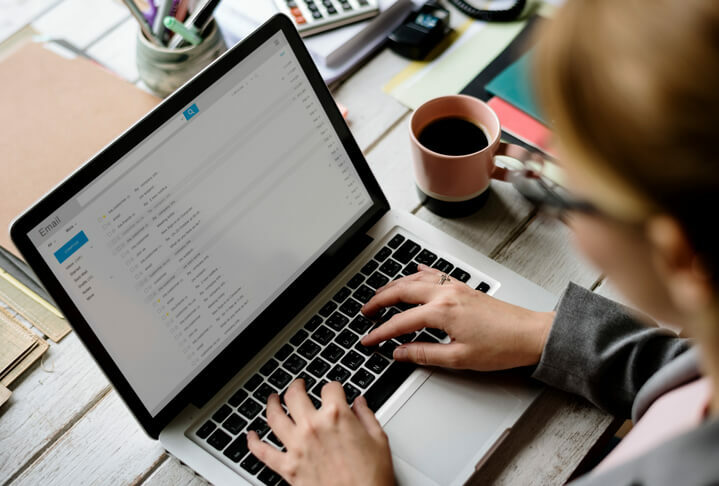 We have taken clients’ inboxes from thousands and thousands of disorganized emails down to a completely organized inbox with all remaining emails categorized and labeled. We’ll unsubscribe you from any unwanted lists and archive any emails you need to keep. We’ll set up a system that will keep your inbox organized and clean from here on out! Just fill out the form below to send us an email, and we’ll be in touch soon. Before we begin cleaning up your inbox, we will go in and review what you currently have set up – we’ll see what’s working, what kind of labels you are currently using, and how many emails you’re currently receiving per day/week. From there, we will see how many accounts you have linked to your inbox (i.e. business, personal) and contact you to see if there are any contacts, groups, or subject matters that are of high priority. Once our pre-cleanup prep is finished, we’ll start the process of cleaning up your inbox. No matter how many emails you have in your inbox, we’ll make sure it’s organized and arranged to your liking. In order to do this, we create a series of labels to categorize all of your emails. From there, we create as many sublabels as needed. All of your emails will be placed under the appropriate labels and sublabels. We will also be sure to unsubscribe you from any unwanted email lists, and archive any emails you want for future reference. We use simple text to define the label (i.e. Business, Personal). If applicable, we will use color tags to define the label and contents. These are the labels which will nest under the main labels. If applicable, we use color tags to define the label and contents. If the sub-labels created require additional sub-labels, we use simple text to define the labels. We move selected emails to the appropriate labels and sub-labels. We review email subscriptions, unsubscribe if requested. Archiving: We will check to see what you are comfortable archiving. You will still have access to these emails; we will just take them out of your inbox. Before finalizing the cleanup, we will make certain that you understand how to best utilize the created labeling system, access the archived emails, and maintain an organized inbox moving forward.